The RX100 III, with its built-in electronic viewfinder, the best sensor in its class and the bright ZEISS lens in the sleek aluminum body, continues to increase the bar for compact cameras. A wide selection of manual options and a custom setting button allow you to add creativity to each frame quickly and easily. The camera is equipped with the ZEISS Vario-Sonnar universal lens, which is renowned for its quality. The lens uses up to nine aspherical members, including two AA lenses, mounted to reduce the size of the unit while maintaining the same excellent optical performance. It has high luminosity and is great for portraits or short-range shots. It also includes a built-in 1/8 ND filter allowing you to change the exposure in steps of 3 EV. You'll definitely appreciate the possibility of manual focus for even better results. 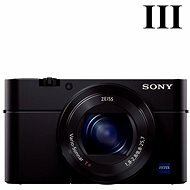 With 20.1-megapixel image quality, an electronic viewfinder, a clear ZEISS lens all combined with a compact size, the RX100 III has been designed to be a sleek package that's easy to carry and a pleasure to use. ZEISS lens with 24mm wide-angle shooting and a large aperture even in zoom. Full pixel counting at 50 Mbps plus movie recording in XAVC format, are possible. The ZEISS T lens not only helps reduce eye fatigue, but the entire viewfinder has been designed to minimise blur caused by shaking hands. An electronic viewfinder is the choice of many serious photographers since they can hold the camera rock-steady, right up to their eye, while accurately and quickly composing a shot. The Vario-Sonnar T * 24-70mm, F1.8-2.8 made by the renowned ZEISS, provides excellent flexibility: it lets you capture this wide-angle digital camera with wide, close-up and practical zoom. With the ZEISS universal lens, 1.0 type sensors and extremely fast processor, you can capture in demanding low light conditions even in stunning widescreen shots and always get the exact pictures you want. Wi-Fi and NFC (Near Field Communication) enable the wireless transfer of photos or movies to NFC-compatible televisions and Android smartphones and tablets. Vario-Sonnar T * 24-70 mm lens, Auto Focus with Lock function adjusts the size of the subject by the size of the subject for improved viewing. Auto focus on eyes recognizes the eyes and focuses on them even when the subject is partially turned. Digital cameras with face detection technology can detect a human face in the frame and automatically focus on it. The focus is based on the detection contrast whereby the lens tries to focus by moving forwards and backwards, while the sensor monitors the photographed image. The size of the sensor determines how much light falls on the chip. Resolution indicates the number of pixels that make up an image or video. A lot of modern devices are equipped with Full HD resolution (1920 x 1080), which is suitable for display on large screen TVs or monitors. Higher resolution provides smoother images with more detail. ISO specification indicates the camera sensor's sensitivity to light. Higher sensitivity is primarily used in low light conditions to avoid unwanted noise and blur. Zoom is the ability of the lens to bring distant objects closer. It is possible to change and adjust the focal length of the lens. The closer your subject is (shooting at a longer focal length), the more it reduces the aperture and the more likely it is for the final image to be affected by camera shake. Specifies the diagonal measurement of the screen in inches. 3 " (7.62 cm) Done! Full HD (1920 × 1080) Done! The maximum frame rate determines the smoothness of the resulting video during playback. SDHC cards are a storage medium used in digital cameras, mobile phones, music players and other devices. Technologically, SDHC cards are similar to SD cards but offer a higher capacity. SDHC cards are categorised by their write speed in MB/s. The fastest SDHC cards are referred to as "Class 10" and guarantee a minimum write speed of 10 MB/s. SDXC cards are a storage medium used to store data in digital cameras, camcorders, mobile phones and other devices. Like SDHC cards, they feature technology based on SD memory cards, but they have a higher capacity. Micro SD cards are used for storing data on mobile phones, GPS navigation and other portable devices. Micro SD cards often come with an SD adapter, which can be inserted into older devices that use SD memory cards. Micro SDHC cards are used in mobile phones, tablets, digital cameras and other devices. They are modern storage mediums with tiny dimensions. Micro SDHC cards often come with an SD adapter, which can be inserted into older devices that use SD memory cards. Memory Stick Duo cards are used to store data in camcorders, digital cameras, game consoles, PSPs and other devices. A smaller variant, the Memory Stick Micro, is also available. Raw is a high-quality lossless image format supported by professional and semi-professional cameras. This format can be used in special editing software to edit sharpness, saturation and contrast without a reduction in the quality of the resulting image quality. The number of shots for the acquisition of which is sufficient battery/acumulator on a single charge. WiFi wireless interface, NFC wireless interface Done! Power cord / adapter Done! 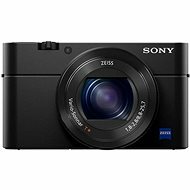 For shipping to other EU countries visit this page SONY DSC-RX100 III. Für Versand nach Deutschland, besuchen Sie bitte SONY DSC-RX100 III. Chcete doručit zboží do Česka? 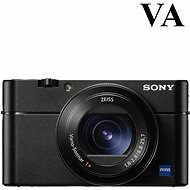 Prohlédněte si SONY DSC-RX100 III. Chcete doručiť tovar na Slovensko? Prezrite si SONY DSC-RX100 III. Für Versand nach Österreich, besuchen Sie bitte SONY DSC-RX100 III. Magyarországra történő kiszállításért tekintse meg ezt a termékoldalt: SONY DSC-RX100 III.